Whether you're new to natural curls, or have always rocked your natural locks, there's great techniques to know. Ways that you style or treat your curls can have a significant impact on your strands. Instead of struggling to get great curls, you should give these tricks a try! These are the curl care techniques you need to know. This means gathering your curls up in your hands in small amounts. Carefully squish your curls upwards. This will help curls clump, or release the cast created by styling product. Performed on wet or dry curls. An oil, conditioner, or a mix of both products is applied throughout strands before shampooing or cowashing. This covers curls, offering a protecting layer between the strands and the washing technique. Consequently, it helps retain natural moisture. 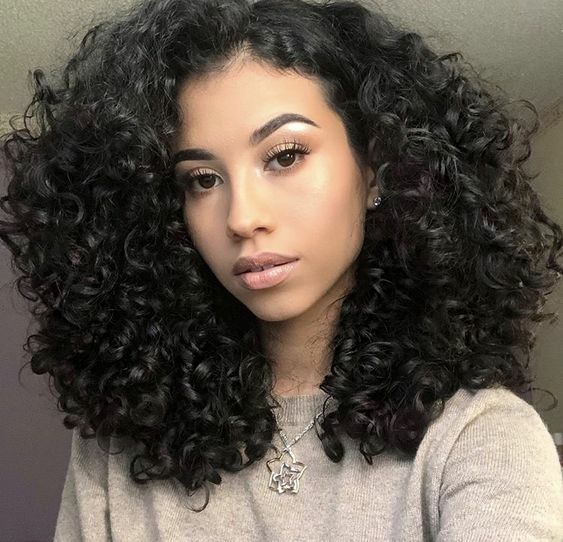 This technique helps maintain the overall shape of the curls. Curls are flipped upside down onto a dry t-shirt, and then gently wrapped up, preserving the shape of the curl. The t-shirt also absorbs moisture, allowing the curls to dry in shape. If your curls are flattened in the morning, this technique can help manage that. Gather curls onto the top of your head, and secure with a loose hair tie. As a result, this technique also helps minimize knots or tangles. To achieve clumping, hands are guided downward through curls, applying product. This encourages curls to fall into their natural shape and alignment. For this technique, the fingers are used to rake through individual sections of curls. This helps distribute product evenly throughout strands, which aids in the overall appearance and shape of curls. Product is applied throughout the strands, such as deep conditioner, butter, or hot oil. The focus is on the ends of the curls, to help restore lost moisture and damage.